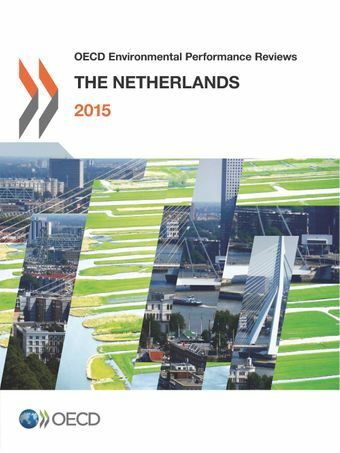 This report is the third OECD review of environmental performance in the Netherlands. It evaluates progress towards sustainable development and green growth, with a focus on sustainable mobility, and waste and materials management. The OECD Environmental Performance Review Programme provides independent assessments of country progress in achieving domestic and international environmental policy commitments. The reviews are conducted to improve environmental performance, promote peer learning and enhance accountability. They are supported by a broad range of economic and environmental data, and provide policy-relevant recommendations.Each review cycle covers all OECD countries and selected partner economies. The most recent reviews include: Spain (2015), Poland (2015), Sweden (2014). An early leader in environmental policy, the Netherlands has decoupled greenhouse gas emissions from economic growth and virtually eliminated landfilling over the past decade. Yet a very fossil fuel-intensive energy mix and looming challenges from traffic congestion and intensive farming leave little room for complacency, according to a new OECD report. The OECD’s latest Environmental Performance Review of the Netherlands praises a decrease in the Dutch economy’s carbon intensity, a drop in air pollution and extensive use of environmental taxes. It also notes the country is one of the OECD’s most material efficient members with high rates of recycling and incineration with energy recovery. However, fossil fuels still make up more than 90% of the country’s total primary energy supply, the fifth-highest level among the OECD’s 34 members. The share of clean energy has increased but renewables still only account for 4.2% of energy supply in 2013, mainly solid biomass and renewable municipal waste. That leaves the Netherlands likely to fall short of renewable energy and energy efficiency goals set out in the government’s 2013 Energy Agreement for Sustainable Growth. Like most European countries, the Netherlands saw its total GHG emissions drop over 2000-12, but less markedly than many others. The Netherlands has higher energy taxes than most OECD countries, but rates are uneven across energy sources and users. Large energy users – and GHG emitters – face much lower tax rates than small-scale users and benefit from a number of exemptions and refund mechanisms. This limits their effectiveness in curbing GHG emissions. A reform of vehicle taxes aimed at curbing C0₂ emissions from transport has been less effective than hoped for and has proved an expensive way to reduce emissions while contributing to substantial tax base erosion. One factor undermining the success of the policy was the large difference recorded between test cycle emissions and actual emissions for both C0₂ and N0x. The Review recommends reconsidering the introduction of road pricing – an idea the country has examined in the past but not implemented – as a way to better address the negative environmental impacts of transport and help manage an expected surge in congestion in urban areas in the years ahead. Intensive farming in the Netherlands, the second most densely populated country in the OECD after Korea, is another area that has long posed a serious challenge to improving the quality of ecosystems and water. Around a third of the country’s territory is used for agricultural purposes, and the quantity of nitrogen fertiliser and pesticides used per square kilometre of farmland is well above the OECD average. Step up efforts to improve climate and energy policy to ensure goals are met and in the most cost-effective way possible. Reconsider a planned tax exemption on coal used in electricity generation, taking into account the impacts on local air pollution.